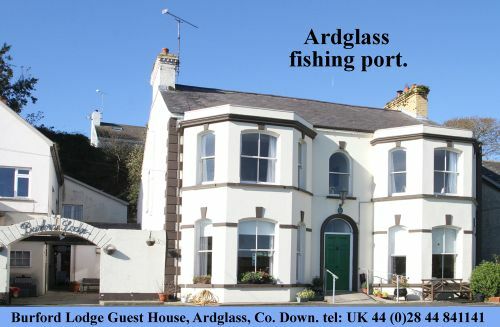 THE Kilmorey Arms Hotel in Kilkeel was the venue for the latest and third First Flight Wind Community Stakeholder Panel meeting as part of the consultation process into the initiative for a marine windfarm off the East Down coast. The Panel had the opportunity to review how First Flight Wind (FFW) is engaging with the local community. This independent Community Stakeholder Panel was formed almost one year ago, and its function is to ensure that First Flight Wind remains committed to informing and consulting with the community. 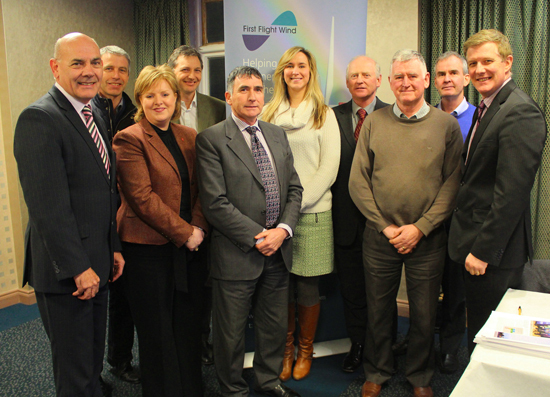 Attendees at the third First Flight Wind Community Stakeholder Panel in Kilkeel included (l-r) Michael Curran, Louth County Council; Nicholas McCrickard, County Down Rural Community Network; Pamela Houston, Kilkeel Development Association; Michael Harper, First Flight Wind; Councillor Harold McKee, Newry & Mourne District Council; Victoria McCabe, First Flight Wind; farmer Edward Carson; Seamus Walsh, County Down GAA; John Smyth, Ardglass Harbour Master; Dr Conor Patterson, Newry & Mourne Co-Operative and Enterprise Agency. At this meeting, members of the FFW Community Liaison Team updated the Panel on the development of the offshore wind project, and gave them an overview of the second round of consultation which commenced on 9 September and concluded on 31 October 2013. During this second round of consultation, FFW held eight Information Days, and encouraged those who attended to complete a questionnaire to record their views. Around 725 comments were received from members of the public during this period. Dr Conor Patterson, Chair of the Stakeholder Panel said: “As an independent Panel, it is our duty to ensure First Flight Wind continues to engage with local communities and inform them about the development of this offshore project”.